"I have been given this product as part of a product review through the Chronic Illness Bloggers network. Although the product was a gift, all opinions in this review remain my own and I was in no way influenced by the company." After reading the testimonies of others about how well Oska® Pulse was working for them, I was excited when my device arrived. 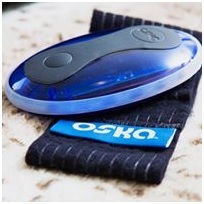 The Oska Pulse is a PEMF devise that acts by massaging inflammatory cells causing them to dissipate. It doesn't move and there isn't an electrical current like that of a TENS unit. An important feature of the device is that it turns off in 30 minutes after it completes four cycles of different pulse electromagnetic frequencies. You don't have to think about it. When it turns off, it will make three short beeps. You can’t feel it so if you don't hear the beeps, you know its off when the pulsing light it emits during operation is off too. If you find the light distracting, you can put it in a sock. Skin-to-skin contact is not necessary for it to work. The shape and size is perfect. It fits nicely in the palm of your hand or cradled on the neck, or if you prefer to set it next to you, put it on the flat side. It works in an eight inch radius of the device, period. It comes with instructions on how to use it and illustrations of how to use the strap so you can wear it. The device has a rechargeable battery, so all you have to do is charge it like you would your cell phone. After three weeks, I noticed for the first time in a long time, I didn't wake up in pain from rolling onto my left shoulder. But, there is more. I have experienced restless leg syndrome for many years. I even had a sleep study that confirmed significant periodic limb movement (PLM). And while my sleep study results was proof for my husband that I wasn’t purposefully kicking him during the night in retaliation for his snoring and it was a confirmation that I have a contributing factor to non-restorative sleep, this information did not solve my problem. And, neither did the medications to specifically treat PLM; I did not tolerate the side effects. But, that was about to change. About one month in, I “awakened” with the PEMF device still sitting (unattached) on my left shoulder where I had left it the night before. I hadn't moved one inch! No covers in disarray, no complaints from the spouse. I had not changed a thing in my routine or in my medical treatment. The only thing different was Oska Pulse! The most important thing is using it enough. It won’t work if it stays in the nifty box it came in. Reduction in inflammation and pain might be immediate. But, if a problem has been long standing, your body may take longer to respond. Many things can contribute to the way our body reacts. As an example, we have different reasons for experiencing chronic pain, or we may have another health problem that contributes to how our body heals. It's important to know that you might feel worse at first. This is because the Oska Pulse PEMF device works to release cellular toxins that have accumulated around inflamed areas, so don’t give up. Do as the instructions say and drink plenty of water, just like you would after a massage. The literature says the majority of people see significant improvement in 3 - 4 weeks and difficult cases respond in about 4 - 6 weeks. 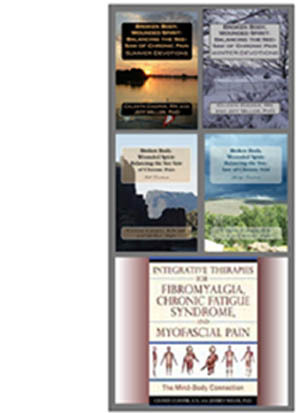 I am still on my healing journey, but there is a noticeable difference in my shoulder pain and joint range of motion. My periodic limb movement has greatly improved, an effect that was totally unexpected. I consider myself a more difficult case because I have significant arthritis throughout my body. Knowing this and already seeing improvement, I expect it to get even better with time. Meet Oska Pulse on You Tube by clicking here. I give my friend, Oska Pulse, five stars. Very interesting. I will forward this post to my mother who suffers from fibro. It's a very mysterious disease. This Oska device looks pretty exciting and since it helped you, just maybe it will help my mom as well :) Thanks for the info. Jeff, I find the devise helpful for my arthritis. The caveat is that it is also helping with my sleep. You are a thoughtful and supportive son. Found your blog. This is a very good blog on medical information. I would like to thank you for all the information you give. Its really important to choose such essential medical equipment for secure human health.so thanks for sharing this information. PEMF, you are so welcome. My pleasure. Its really a good blog on pemf machine. I appreciate your article. Its important to get quality pemf devices. This blog is really helpful to give a light in this issue. So thanks for sharing all that important information. So glad you approve. PEMF technology is making a difference in the lives of many. The Oska allows us to be consistent on our healing journey. It's affordable and convenient. You are welcome. I love my Oska! ... osteoarthritis can be such an insidious, horribly painful, disfiguring and debilitating condition in and of itself, not to elaborate on the physically and psychologically abusive- battery of the synthetic prescription drug roller coaster the typical patient is rendered to, particularly subsequent to the one drug which proved for many years to be most responsibly prescribed at low dosage and providing the effective pain mitigation needed to enable this, as there are probably others, patient to live a vivacious, functional life. That drug, is the OPIOD, Methadone. Since the 2012 nationwide- group punishment debacle began, my wife’s health and quality of life, has taken a miserable turn for the worse. No sane person wants to live a life of drug dependence. But those “shot-callers” on their high horses need to realize that the real “bogey-man” in the room is their one size fits all mass panic attack, that is causing dire harm to completely responsible, prescribed patients. This is no insignificant matter, as is typical, the US populace tolerates in LOUD SILENCE, these “shot-callers” to make the end line consumer out to be the abuse problem, while avoiding applying the same (or harsher) “corrective measures” to the “manufacturing and supply chain” end, from where this abuse problem proliferates. Such shame. Not to diminish the potential and the demonstrated viability of “alternative” chronic and acute pain relief modalities, such as acupuncture, chiropractic, Quell, Oska Pulse, NUTRITIONAL SUPPLEMENTATION, cannabinoids and what have you, but if you’ve walked in the shoes or alongside any of these surprisingly enduring people, then you know careful, “immediate relief” (from whatever form it is derived) from debilitating pain is what allows a deep breath and sigh of relief to be taken, and primes a sufferer’s interest in and openness to such modalities as may offer a more biologically gentle or even “corrective- alternative” treatment option(s) toward pain symptoms AND their underlying condition(s). Thank you for your article on the Oska PEMF device. I feel I’ve learned valuable information. And thank you for offering more than “2” means of joining this dialog. Very well said, Joe. I would like to publish your comment as a blog. With your permission, Thank you for speaking up on your wife’s behalf, it means a lot to all of us in the pain community. 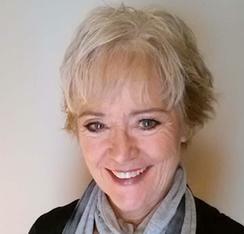 As a nurse, I believe health and illness should be visualized through a holistic lens. I write a lot about integrative care, which I define as “Whatever works”! No two of us are alike, even more reason to embrace all opportunities to ease our pain. We certainly don’t know unless we try and every once in a while, we hit on something that helps without a boatload of side effects. Since you commented on this particular blog, I need to say that for me, it is the Oska Pulse. 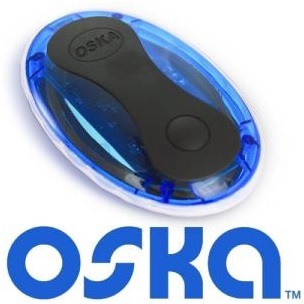 I am a #sponsor for this PEMF devise because Oska has helped me significantly. It has all but cured the pain from tears in my shoulders. I turned my knee a few weeks ago and started Oska treatments. Today, NO PAIN! My neck is still resisting, but it has helped my low back, I will take the trade off. It doesn’t work right away on me, and doesn’t on most, so sticking with it is imperative to decide if it is or is not helping. I urge you to click on the header tab “Advocates Corner: Your Rights and Resources”. You did your homework, Joe. It is always good to be as informed as we can be. If you decide to give Oska a try, be sure to use my #sponsor code CCRN60 at OskaWellness.com check out. You will get $55 off. There is a 30 day money back guarantee, too. They just had their first clinical trial specifically on Oska published. It is my pleasure to serve all those who take this journey with me. I learn so much about the plight of so many, professional and personal and I pick up tidbits to help myself in the process. As my friend, Myra Christopher, PAINSproject.org always says, onward and upward. In response to your previous note, +Joe Toe thank you for your permission to share. I have put it on my calendar for next month. I will let you know when it goes live. Our voices count. They need to be heard.